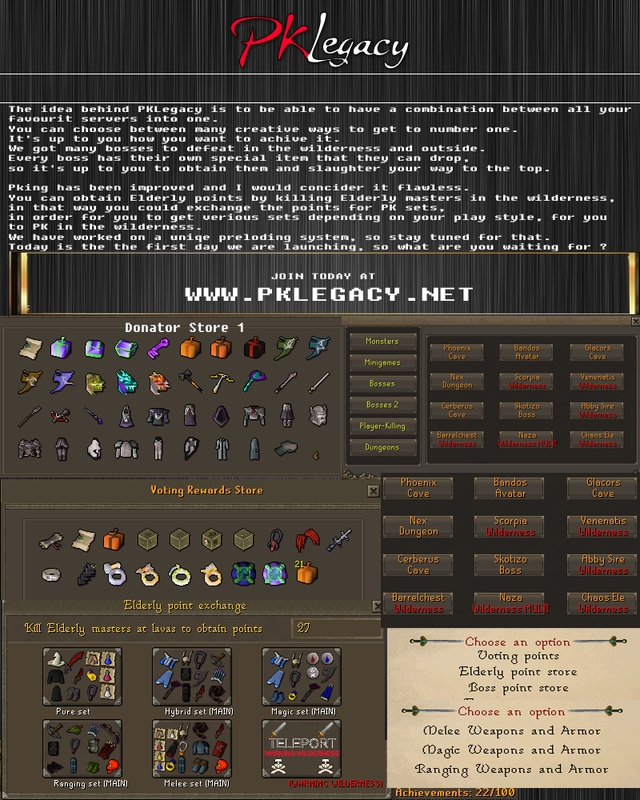 PK-Legacy is a content packed private server, we have a solid economy and the combat is flawless. 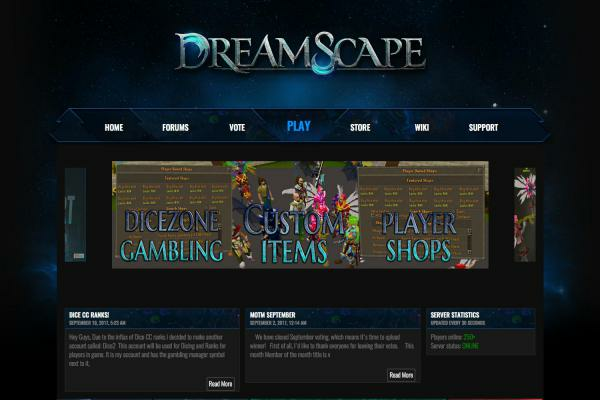 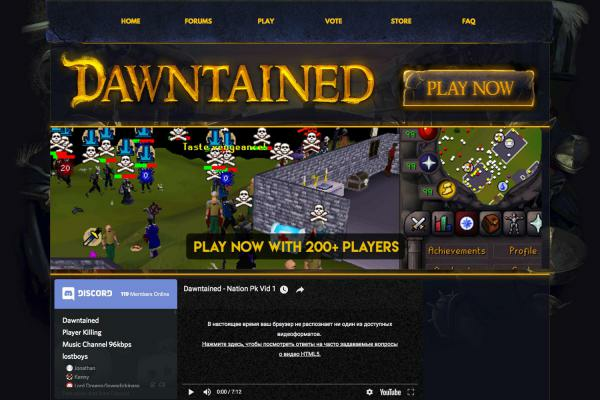 The server has auto donate/vote implented, many useful commands, gambling, all skills working, over 20 different bosses, custom training areas, active pvp, voting shops, boss shops, donator zone, many ways for dicing, mboxes and the server has all the latest osrs items! 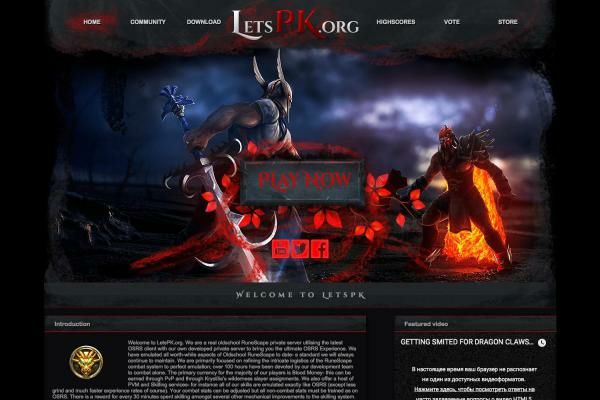 Download the client with the link below, you will enjoy your stay!